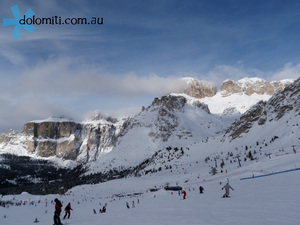 Canazei, it's one of the main hub for the Dolomiti ski area, whit 3 main access: - Canazei to Belvedere ski Area (part of the Sellaronda, Marmolada, Big War, Seceda tours) - Campitello to Col Rodella ski Area (part of the Sellaronda, Marmolada, Big War, Seceda tours) - Alba di Canazei to Ciampac Ski Area (part of the Panorama ski tour and connection to Buffaure ski area). 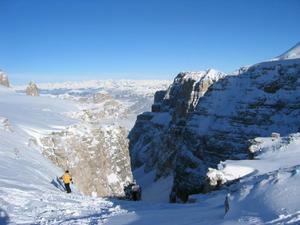 We strongly suggest you hire a guide if you decide to ski in this area and you want to make some tours. 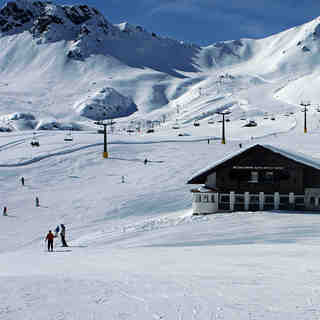 It is very easy to get lost due to the enormous variety and vastness of ski runs and lifts (1200 Km of ski runs on 470 lifts). 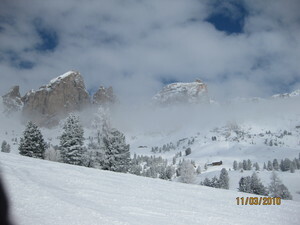 To find a Dolomiti ski guide dolomitiskitour.com or just type on google dolomitiskitour or skitourdolomiti. Skied from here mid-Jan 2017 in bright sun and -12deg on unbelievable artificial snow with no significant natural snowfall since Nov. Everyone said they were the best prepared pistes they had been on. 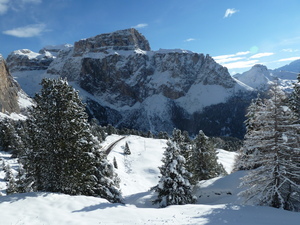 Quiet at this time of year with no lift queues and the new cable car to Belvedere just up the road at Alba gives a 3rd route to the Sella Ronda from Val di Fassa, in addition to the bus to the cable car at Campitello. 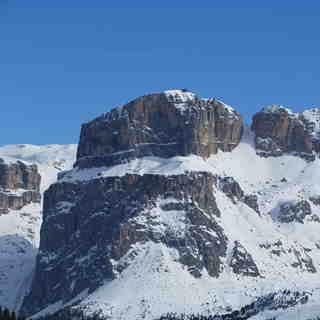 My sixth visit to the Dolomites and although cheap this is not a resort for beginners, who would be better placed staying in Corvara. 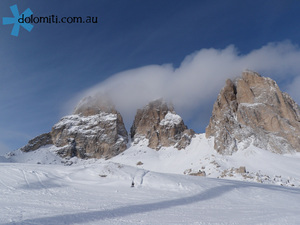 For experienced skiers there are other tours than the Sella Ronda, the day long 1st World War circuit being my favourite, taking in 4 or more ski areas including the Hidden Valley and 2 bus journeys.